← Does New Research Prove Kids Do Better with Gay Parents? My buddy Leon Wirth and I are stoked our new book is out. It’s The Family Project, the book-length, deeper-dive presentation of the teaching and insights offered in Focus on the Family’s 12 session dvd small group curriculum byt the same title. Leon and I had the honor and privilege of being able to write the material for this innovative and ground-breaking curriculum and participate in its development with a very smart and talented crew. 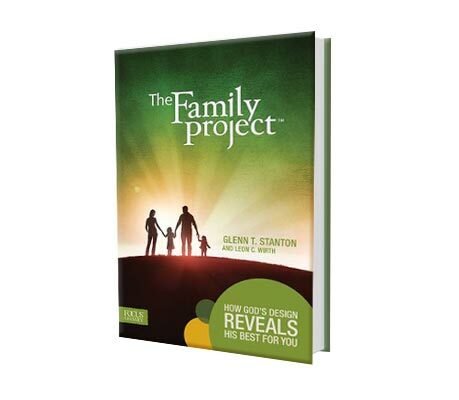 This book, The Family Project, is the full content of what we developed to the tell the story of what family is, why it matters and how we understand its significance in light of who God is in his deepest nature and character and who we are as humans uniquely created in his image. Being God’s story, starting from before creation stretching all the way to the culmination of time, it’s of course a big story and not all of it could fit in the twelve 25- minute dvd sessions. So we wrote this book so students in The Family Project small groups can have the benefit of, if you will, “stay after class” and get some further insight and understanding on the topics explored in each session. 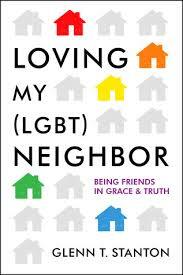 But the book was also written so that it stands alone for the reader who wants a fuller, deeper Christian understanding of the “why” of family, especially in its unavoidable imperfection. We are excited about the book and its companion project materials because while it tells the story of the “why” of family, it does so by really examining our common humanity and what its means in light of the reality that we are each uniquely created in the very image of the God of the universe. There is so much more to this truth than most people – including most Christians – really appreciate. It is a profound, beautiful and captivating story, one that Christ invites each of us to join Him in as his beloved child. We provide more of an ancient telling of the Christian story than most are familiar with, drawing from the old, old truths of the Christian Church and the wisdom of its venerable fathers (and mothers) through the Ages. We also offer the reader a broad survey of classical art in illustrating and driving home many of the points and verities discussed through the pages. The reader will find these pieces of art at the project’s website where they can read more about each work and study the images carefully at their leisure. The book is indeed a unique and colorful look at a theology of family, but not in a high-minded seminary way nor in a dry systematic theological approach. It’s full of life, color and application for our hearts, minds and lives, the deepest parts of where we all live within our souls. Get the book, and if you are not completely satisfied, one of us – most likely Leon – will come to your house and do your dishes for three nights in a row. Yes, three nights in a row! Don’t be dumb and pass up such and offer? P.S. This short video explains what students of the family can expect in The Family Project small group experience. This entry was posted in Uncategorized and tagged books, family, focus on the family, glenn stanton, glenn t. stanton, the family project, theology of family, worldview. Bookmark the permalink.